if we’re being completely honest… because they had accommodation vacancies over the Easter break! What we found was a haven for families with everything we needed in the one spot. Burleigh Heads has patrolled beaches, multiple playgrounds dotted along the foreshore, scenic walks through the heritage listed Burleigh Heads national park, great coffee, unique shopping with lots of locally crafted wares, delicious dining options and much more. 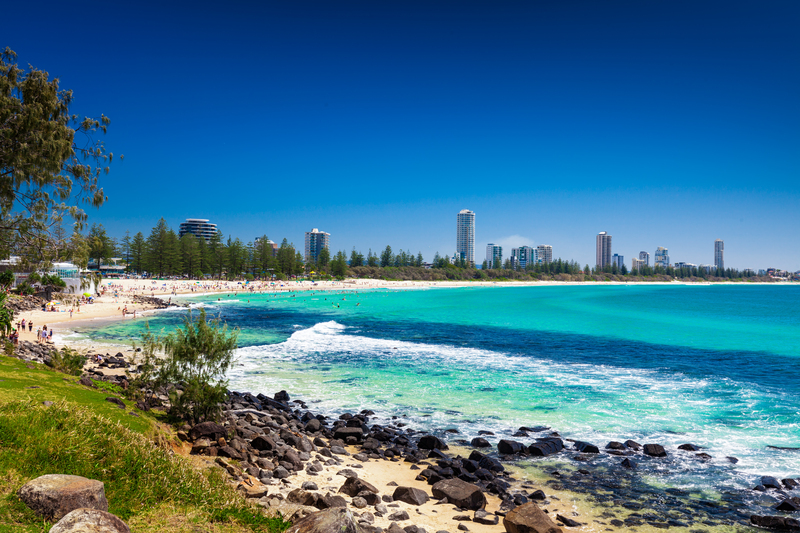 Burleigh Heads sits south of Surfers Paradise on the Gold Coast, between Miami Beach and Palm Beach. The climate in Burleigh is sub tropical, making holidaying at any time of the year very doable. 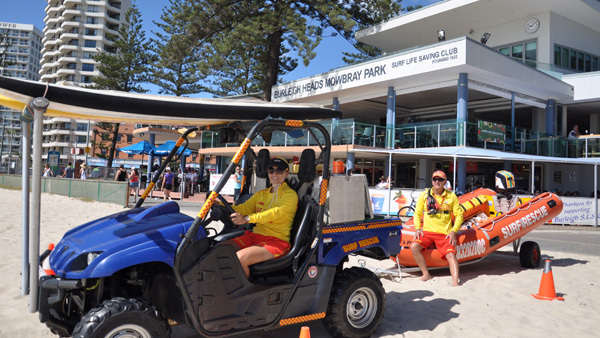 There are plenty of accommodation options at Burleigh Heads for families. There are many beachside apartments available that line the Esplanade. The local caravan park is also right in the middle of the action across from the beach and is really well maintained and offers both self-contained cabins and camping options. We then strolled up to James Street for some lunch and coffee. It has plenty of food & coffee options. We can thoroughly recommend Canteen Coffee which is tucked up a laneway, along with groovy boutiques and bookshops. There is also a Woolworths Metro on this street if you need to buy any essentials for your stay. After lunch we retired back to our accommodation for some downtime. The afternoon was spent scootering down to the beach to collect shells and do some rock hopping. The surf was a bit wild the following day so we headed for a walk through the Burleigh Heads National Park and down to Tallebudgera Creek, where we swam happily for a few hours. We had dinner at the Burleigh Heads Mowbray Park surf club that night which sits proudly on the beach front and has stunning views from its deck over the ocean. They have great kids options on the menu and very reasonable prices. 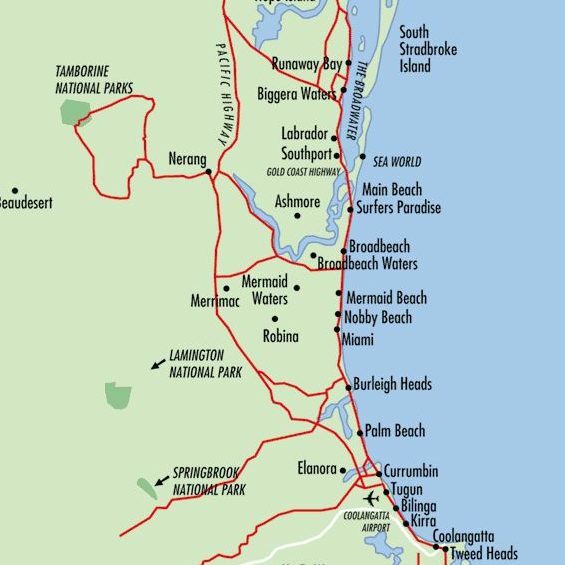 Burleigh Heads is also a great launching pad for the ever popular GC Theme Parks with buses running daily to these destinations. We were delighted with our mini break to Burleigh Heads and our kids have already asked when we are going back. It has a relaxed seaside vibe, with plenty to do. It is very family friendly and we’ll definitely be back.